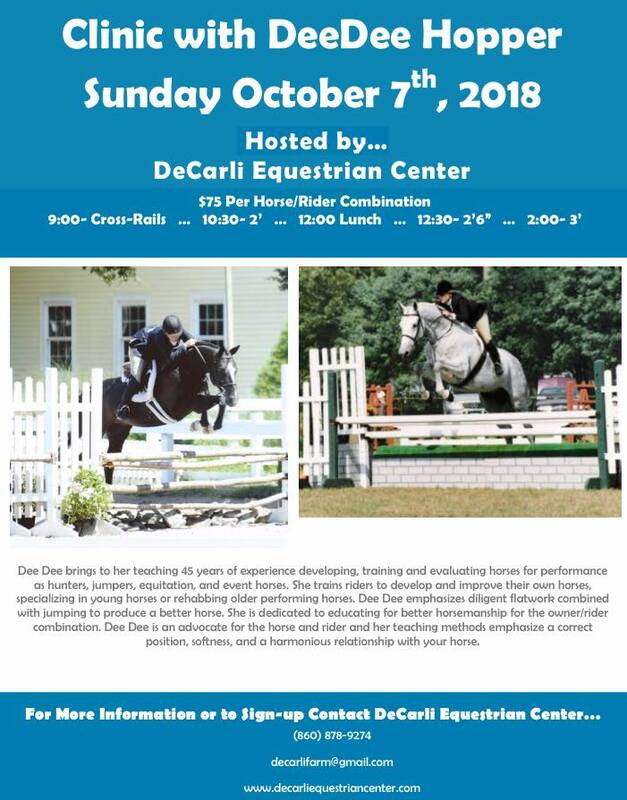 Dee Dee Hopper, brings to her teaching 45 years of experience developing, training and evaluating horses for performance as hunters, jumpers, equitation, and event horses. 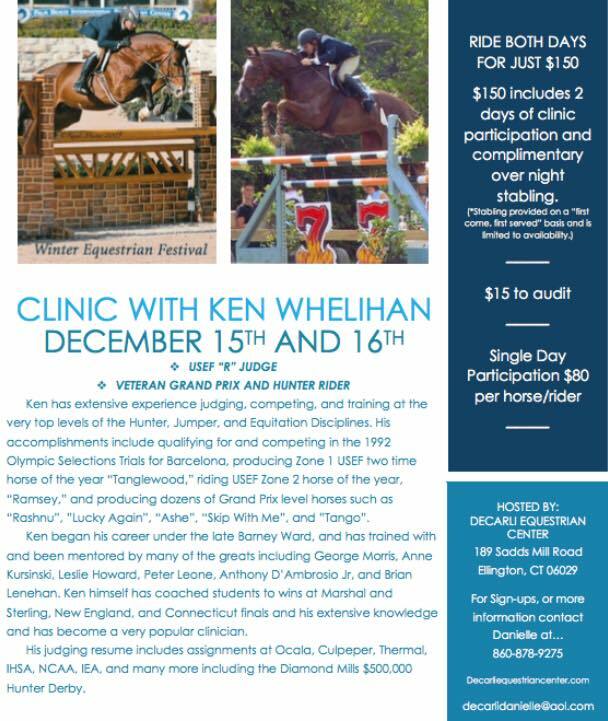 She trains riders to develop and improve their own horses, specializing in young horses or rehabbing older performing horses. Dee Dee emphasizes diligent flatwork combined with jumping to produce a better horse. She is dedicated to educating for better horsemanship for the owner/rider combination. Dee Dee is an advocate for the horse and rider and her teaching methods emphasize a correct position, softness, and a harmonious relationship with your horse. Truck ins Welcome! $85.00 per rider for a 45 minute private or a 1 hour semi private.